Does it ever seem like everything’s just too complicated? The world of window replacement, often seems to have a lot of conflicting information. Which material is the easiest to maintain? Which is the most durable? Some contractors claim it is vinyl, others insist on wood. No wonder window replacement can be a daunting prospect for some Brampton homeowners! Here at Brock, we prefer to keep things simple and stress-free. One of the ways we show you we care is by educational articles like this one which help you stay informed on the best choices for you and your home. If you have been considering replacement windows in Brampton, this is a great place to start. After all, it’s as easy as pie! The most common issue that attacks old windows sooner or later is seal failure. Seal failure happens when old window joints warp or swell and become loose due to wind and weather. However, your windows don’t need to be old to suffer from seal failure. A number of other factors that can cause seal failure, such as lack of maintenance, cheap materials, or improper installation. In the end, it doesn’t matter if your windows are 50 years old or 5, because seal failure indicates that your window can no longer do its job. If you don’t want Brampton’s excessive rainstorms to continue to damage your windows and leak into your home through the seal, it’s important to take action early. The first step of taking action is to be aware of when there’s a problem. How do you tell if your old windows are no longer earning their keep? Some tell-tale warning signs include drafts, condensation in the window panes, moisture, etc. Despite its early use for building materials like doors and windows, wood is simply not a viable option for window frames anymore, particularly in Brampton. We all know what happens when wood is exposed to damp or wet conditions for long periods of time: Mold. Because of Brampton’s rainy weather, wood is not a wise choice for windows. Vinyl, however is a practical choice for your budget and at the same time offers excellent energy efficient and low maintenance properties. Many Brampton homeowners don’t realize that leaky, inefficient windows are guilty of more than 25% of the average household’s energy bills! As you can see, hanging on to those old windows is much costlier than replacing them. 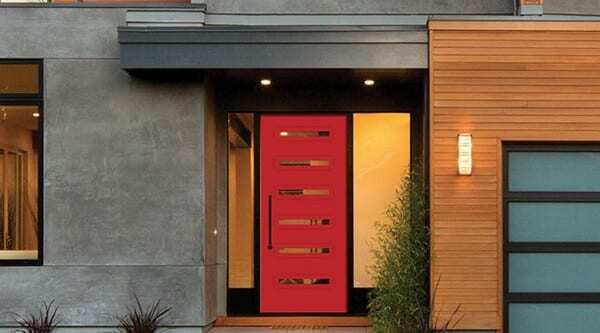 Brock Doors and Windows works closely with you to help you choose windows that will cut your energy costs by up to 15%! Not to mention the government and local utility tax credits you can receive when you replace your old windows with new, energy efficient units. 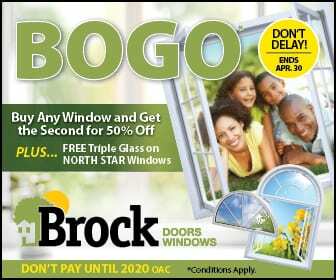 Brock has been helping Brampton homeowners make the best window replacement decisions since 1990. We offer free, in-home consultations. Give us a call! We’d love to hear about your window replacement project.